We gave our 5 year old a VTech Kidizoom Smartwatch Plus (there is now a new version- the 2nd gen Smartwatch DX) for his birthday this year. 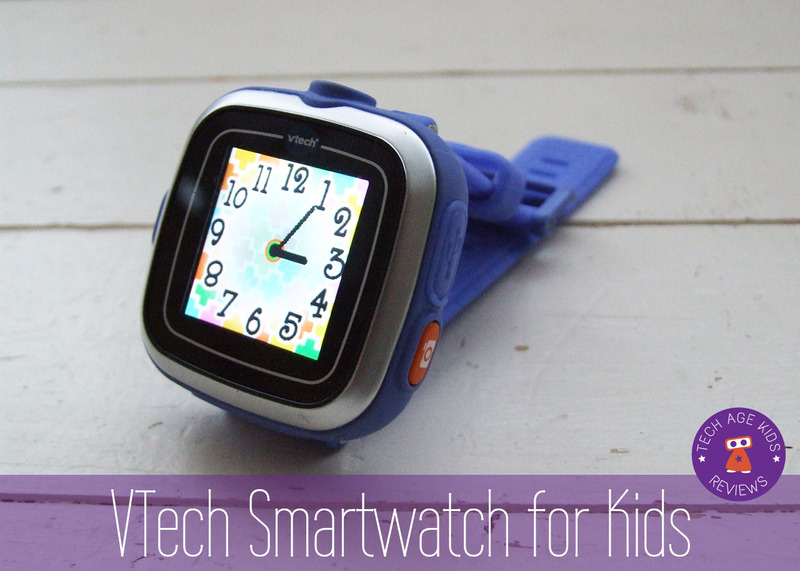 After good reports from Tracy on her kid's Kidizoom camera, we decided to give this VTech smartwatch a try. Wearable technology has taken off this year and adult smartwatches are very much in vogue. 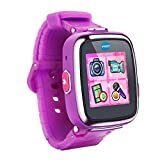 Don't be fooled by the term "smartwatch", this VTech device is pretty much exactly like the Kidizoom camera but you wear it on your wrist and it does tell the time. 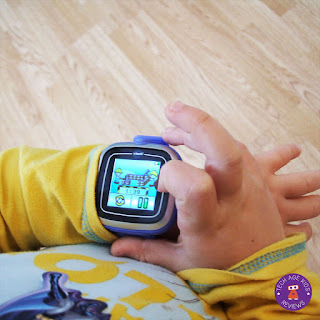 What did we think of the VTech Smartwatch Plus and is it a smart choice for kids? UPDATE: The VTech Kidizoom Smartwatch DX 2nd generation (2016) is now smarter with more technology. 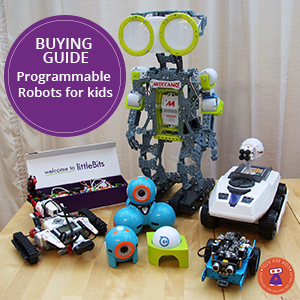 This new version includes a calendar feature, calculator for basic math sums and built-in pedometer to count steps. The rest of the features and how it works, stayed the same. This definitely feels much more like a smartwatch! The Kidizoom Smartwatch Plus is packaged in a good-sized box, so will feel like a decent Christmas gift. In the box you get the watch, a Micro USB cable for charging and connecting to your computer and a comprehensive user manual. It is the upgrade from last year's smartwatch product, which now comes in more colours (previous version was only available in blue and pink) and now can connect to the VTech Learning Lodge. The watch seems fairly durable with a nice flexible strap and adjustable buckle to easily fit a small child's wrist. I would say the watch itself is a bit bulky for wearing all the time. The touchscreen is responsive and my son used it intuitively tapping and swiping through the different options. The watch comes with 3 inbuilt games, they are fairly boring and after a couple of days, my son was ready to explore the "other" games on the Learning Lodge. The watch face come with 50 different designs in digital and analogue displays. There is a camera, video recorder, voice recorder, timer, alarm and stopwatch. My 5 year old hasn't quite connected with the time-telling element of the watch, but loves using the timer and stopwatch. We've used the timer quite successfully for screen time and other timed activities. And my kids have used the stopwatch for races on their bikes in the park. There is a little owl application on the watch which allows you to move the hour and minutes arms of the clock and when you click on the owl it will tell you the time. I do think VTech have missed an opportunity to have more games or learning applications for learning to tell the time built-in. 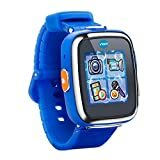 My son loves to look through pictures on my mobile phone and so part of the reason we got him this smartwatch, was to give him something he could take photos and videos and then look through them. The smartwatch has a low photo resolution (640 x 480 0.3MP) and so photos are grainy and small when downloaded to a computer screen. 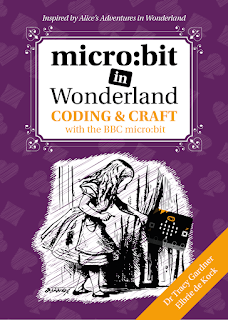 There is 128 MB on in-built memory which is shared with program data, so if your child goes crazy on taking photos and videos, you'll need to be in the habit of downloading to your computer fairly often. Videos are limited to record 60 seconds and there are two different resolution options. My son have enjoyed taking videos of all sorts of funny things and giggles as he plays back his creations. I actually like the fact the camera is on his wrist, as he has it to hand and can easily take a photo or video. The camera lens is located on the front top end of the smartwatch, which means you need to point it in a sideways direction to take photos. When not wearing as a watch you need to view the screen from the top and point the camera sideways to shoot. This can feel a bit awkward. There is a separate camera button for quick access to the camera and taking photos. Once in the camera app you select if you want to take a picture or a video, however the watch will always revert to the camera when you press the camera button. The VTech Smartwatch Plus come with connectivity to VTech's Learning Lodge. It allows you to keep a record of all your child's VTech products and usage and download more applications for their devices. 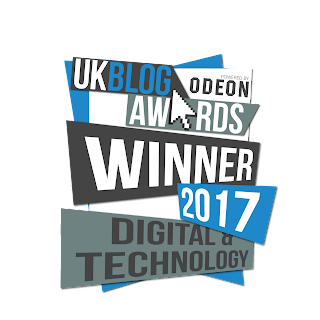 You need to download an application onto your PC or MAC (doesn't work on a Chromebook) to download games, themes and and camera effects. We were very disappointed in the games available for the smartwatch. However, there may be scope for this to improve as more people use the smartwatch. Most of the games are free to download, however you go through a rather lengthy buying process to download them. NOTE: Once downloaded the games appear in the Download folder on the watch and not with the other games. There are some paid for apps, which we think are priced too high for what you get. You don't need the Learning Lodge application to download photos and videos. Simply connect with the USB cable and transfer files like you would any other digital camera. As mentioned before I think the watch is a bit bulky for everyday use and I don't allow my son to wear his to school. The fact there are games on the watch and you can take photos and videos seems inappropriate in a school setting. My gut instinct is to put a protective cover on the screen, but then we are very careful with our tech as a family. The strap seems very durable and a nice fit on my kid's arm. There is a rubber cover on the input slot for the micro USB charger, which through use, may not be as durable, but only time will tell. The watch comes with a parental control option to set a time of gameplay to either 30min, 60min, 90min or no time limit. I've set ours to 30min but it's not been an issue, as my son uses the watch mainly for taking videos of our dog Ruby! So far we've not had a problem with the smartwatch running out of battery. The user manual claims 1 day battery life for heavy use and up to 2 weeks for low usage. It is so easy to plug into a micro USB charger overnight. There is a tiny main power switch at the back, which doesn't need to by used, as the watch come with automatic screen off which can be set in the settings. If however you are not using the watch for an extended time, they recommend turning the master switch to "off". The age rating is 5 to 12 years, however we would recommend it for the younger end of this scale. With the rapid development of other smartwatches, I think big kids and tweens, would rather go for something less "kiddie". The games and application on the smartwatch certainly are not a challenge for my 5 year old to play, so I would imagine a 11 year old may find them fairly uninteresting. 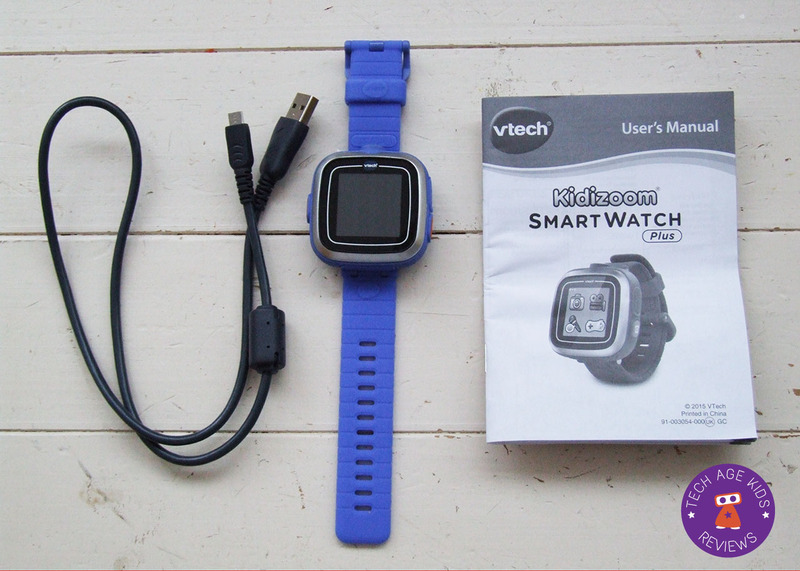 Overall we are pleased with the VTech Smartwatch Plus, it is fun and portable device for kids. All the features included are used by the kids and hopefully as the community grows more interesting games and apps will be created for it. It is slightly bulky, but then you couldn't really have a smaller screensize to view photos and play games. We especially like the camera and video features and have used the stopwatch extensively on our outdoor adventures. 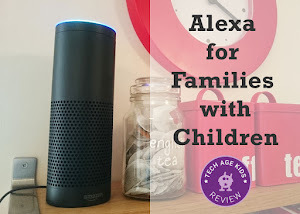 We say this is a good piece of tech for kids that can be used indoors and outdoors with lots of fun factor.